In this era of customization of services, it is highly essential for businesses who are aiming to gain maximum customers on the online platform. A responsive website helps a business in serving clients using different devices in a unique way. It is something that transforms itself as per the device on which it is being viewed or accessed. 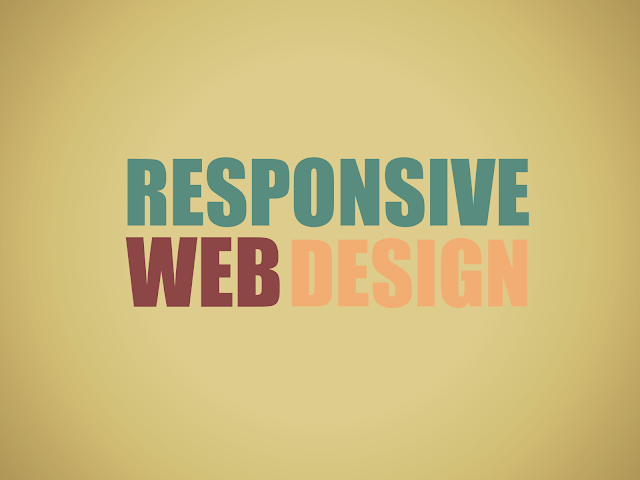 Responsive web design makes your website scalable and accessible on all popular devices. Though the amount of investment required in responsive website design is more than a traditional desktop-only website, the benefits gained through a responsive site are multi-fold. It helps you reach more number of users at a given time. Responsive website is also easy to manage via a single backend Content Management System (CMS). No process is error-proof. Even during the responsive website design process, there are possibilities that some mistakes might creep in. You will have to be wary of them so that you can avoid the mistakes. In this blog post, let us look at some of the common mistakes involved in the process. One of the greatest challenges developers face is to create a navigation system that fits all the devices. Due to habit, they are more inclined to take the traditional approach and deliver a desktop-type navigational experience to users. This defeats the purpose of a responsive website which is meant to be user-friendly on all devices. To achieve a perfect navigation system for a responsive website, it is best for developers to adopt a mobile-first approach. Developers should aim to create a unique navigation system for mobile devices, tablets and desktop environments which is quite specific to the familiar experience on that particular device. Most of the modern day gadgets and devices make use of the touch screen technology to give ease of use to users. This makes it very essential for developers to design the website for a touch screen environment. If a user has to zoom in to select some options, then it is possible that he may exit the site within no time. Generally for touch navigation 40 pixels by 40 pixels, is considered as the ideal minimum size that lets users press without error. Desktop users are accustomed to viewing websites at a high speed broadband connection. While designing a responsive website, developers usually forget the limited internet speed connections utilized by mobile users. Mobile users may be using a 2G or 3G connection to view your website. Through a number of free page speed tools available, you can analyze the loading time of your web page. It is not necessary that a website performing well on desktop environment will also perform well on mobile platform. A number of techniques including linking to external script libraries, optimizing graphics and media, and using clean and organized code can be used by developers to bring down the page load time. Most of the responsive web developers out there feel that when the design is being made from the scratch, they can make it as per desktop use and then later transform it to fit responsive design. This process involves lot of errors as well as reworks. Also, it consumes a lot of time. Hence, during the planning stage itself, you must start with smaller devices in consideration. A perfect mobile design can easily fit bigger screens. Though responsive design doesn’t leave enough space, it doesn’t imply that you can ignore the content part. You can re-arrange the pictures and content so that the content doesn’t get hidden from view. Navigational links using anchors can be utilized to guide the users to the content they wish to read. Even if you hide content using CSS, content will still get downloaded. Hence, developers should not commit the mistake of hiding content from the users just because they are accessing a website through a specific device. Compressing desktop content into a mobile version is the biggest folly as it will damage the viewing experience. It is essential to create a proper user interface to work within the constraints of the mobile space. Dropdown menus can be utilized in place of navigation bars to save space. In any process, including responsive website development, there are surely going to be some errors which may creep in. However, with experience and expertise you will be able to avoid these errors and reach a level of perfection. Responsive web design is an all encompassing technique that helps users, operating different devices, in viewing a website optimally. The process helps businesses bring down the development cost and yields the best user experience as well as expansion in the customer base. However, responsive web designers and developers seem to ignore some important points while designing for a responsive environment. This article covers the basic yet not to be ignored mistakes that every responsive web developer should be wary of. Simply put, designing for a responsive website is not a tough task unless and until you avoid the common mistakes. Avoiding these mistakes can help you bring down a lot of rework and enhance user experience on the website. Creating a perfect responsive website also involves checking the front end of the website to ensure that it is convenient for the users to operate it. However, getting the process right just from the beginning helps a great deal. Being a versatile tech blogger, Michael Waugh has an enormous knowledge in diverse IT domains. Currently he is placed in Potenza Global Solutions; a IT Company that deals with Responsive Website Design and Software Development.